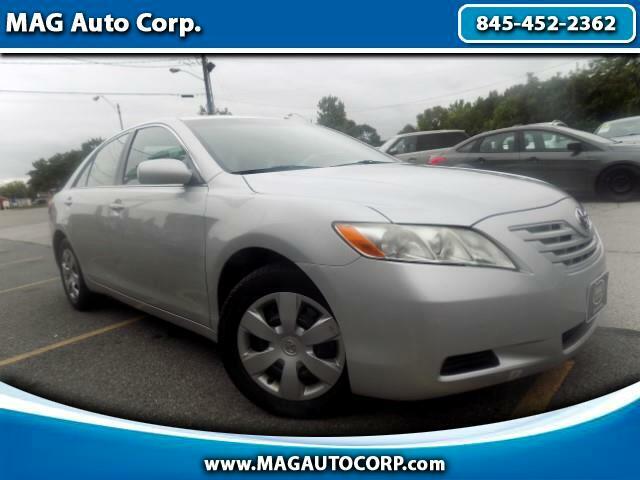 Used 2009 Toyota Camry LE 5-Spd AT for Sale in Poughkeepsie NY 12603 MAG Auto Corp.
WHY PAY MORE AT A "HIGHWAY STORE!?!" THIS LATE-MODEL GORGEOUS WELL-MAINTAINED CAMRY WILL PUT YOU IN THE DRIVER SEAT FOR LESS! *THIS CAMRY HAS A LIFETIME OF LIFE IN IT! DO YOU NEED A VEHICLE THAT WILL LAST FOREVER WITH MINIMAL TO NO MAINTENANCE? IF SO, THAN WHY ARE YOU STILL READING THIS? SOMEONE ELSE IS TOO! WHEN OTHER DEALERS SAY "GUARANTEED FINANCING, *WE ARE* THE HOME OF GUARANTEED FINANCING! NOW FEATURED AT OUR BRIGHT, OPEN AND BEAUTIFUL HIGHLAND LOCATION! WE ARE ON FIRE! PLEASE *BE SURE* TO CALL AHEAD OF TIME TO CONFIRM IT'S AVAILABILITY AND COME TEST DRIVE IT ALL THE WAY HOME, TODAY! ! ! CLEANEST HAND-PICKED VEHICLES #MAGAUTOHIGHLAND "